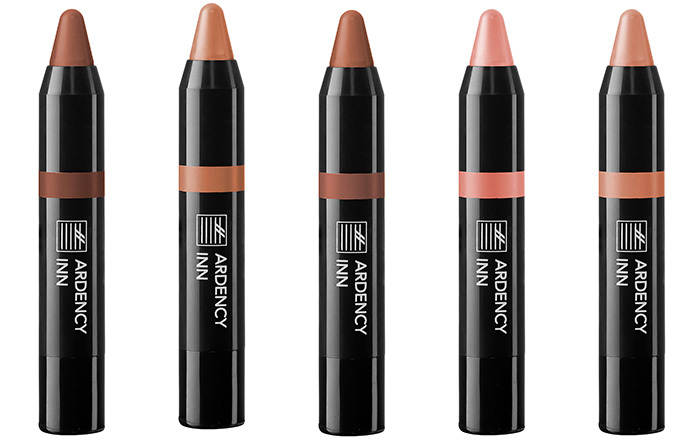 Ardency Inn was named one of the top new beauty lines, so you know we had to try out their new Americana collection to see what all of the hype is about. The collection is full of natural hues inspired by the rock and diversity of New York City. This means that while their older collection have been pretty bold, this Ardency Inn line is pretty safe. All of the lip colours in the line are naturally coloured. So while they were nice, they didn’t really wow me. Don’t get me wrong, they felt nice on, but it was clearly the no lipstick lipstick look. Even if it does look gorgeous, it wasn’t something to get excited about. The Primer and Custom Coverage Concentrate was another story. It’s rare when a foundation comes with instructions, but that’s how intense this little bottle is. 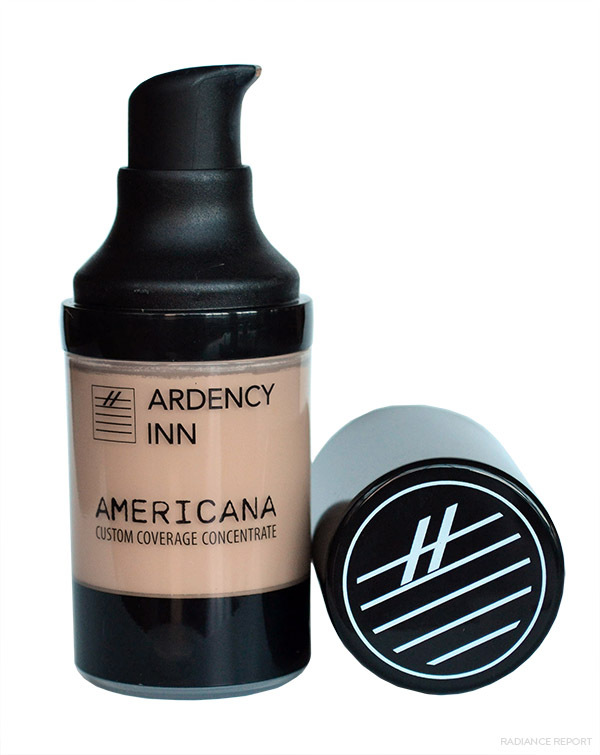 You can’t use Ardency Inn’s coverage concentrate like your regular foundation because it’s not. You need to use a very small amount with their primer (or your everyday moisturizer). You use one or two pumps, mix it all together, and then apply. Because you are mixing it with the primer, you get a nice applications and smooth finish. It’s still a very intense coverage. This is more like the kind of foundation they use on photo shoots than you want to be wearing every day. I will probably save it for weddings or big nights on the town. The other option is to use more moisturizer and less concentrate to give you more of a tinted moisturizer feel than foundation. I think this is a better bet for most. That way it will also be well worth the money because it could last a long time and cover up everything. This winter had been especially harsh on my skin. The never ending cold combined with the dry heat in my house has made us all itchier than usual. Dry patches on our skin seemed to be impossible to cure with regular method. 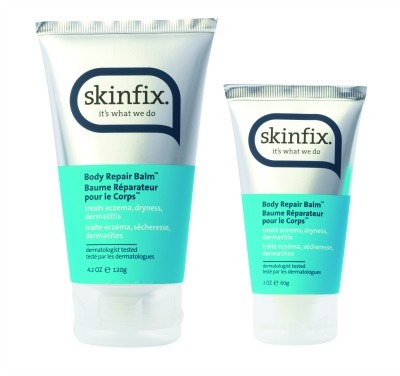 Fortunately Skinfix is not your regular moisturizer. This is very intense moisturizer for very intense situations. Skinfix is by far the thickest moisturizer I have ever used. This isn’t just for spread all over to get soft smooth skin. This is for targeting moisturizing of only the driest parts. Their moisturizer is made for people with extreme dry skin issues, eczema, chafing and even for infant diaper rash. It’s thick and doesn’t spread well, but it definitely works. It gives relief from itchy skin and gets right in there to moisturize your toughest spots. I can’t believe I lived this long without it. Spring is supposedly on it’s way. 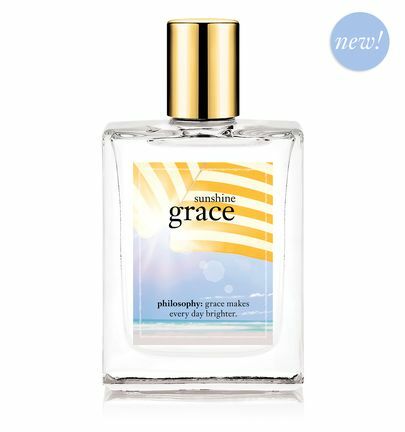 But if you can’t wait for warmer weather the scent of Philosophy’s Sunshine Grace will help you get there a little bit sooner. Sunshine Grace really does smell like summer; a little flowery, a little citrusy and a little like laundry drying outside. I’ve tried the firming body emulsion and it goes on smoothly, makes your skin feel really soft and the scent lasts a really long time. If you need a little summer in your life before the snow melts, Sunshine Grace is definitely the way to go. 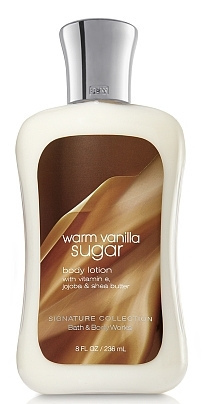 Warm Vanilla Sugar Body Lotion – I didn’t like vanilla scented body lotions, until I smelled this. This rich vanilla cream warmed me up from the outside in. I finally understood why girls love this scent so much. Of course, their lotion works wonders on any skin type. It’s perfect for when you first get out of the shower for a lingering small on your skin. 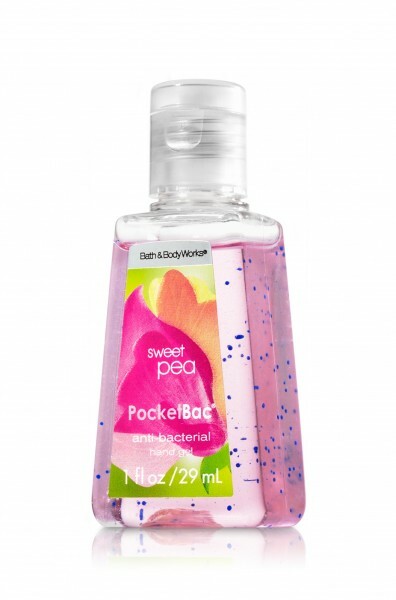 Sweet Pea PocketBac Sanitizing Hand Gel – When I had pink eye last year, I carried a bottle of this around with me everywhere I went. If you ask women, you will probably be surprised by how many of them carry one of these in their purse. 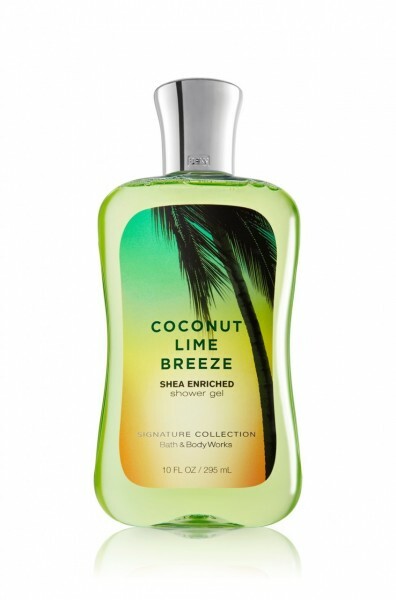 Coconut Lime Breeze Shower Gel – When I relax in the shower, I love being surrounded by tropical scents that make me feel like I am actually away at some destination. While I love the smell of coconut, I prefer this coconut and lime mixture because it’s different and original. 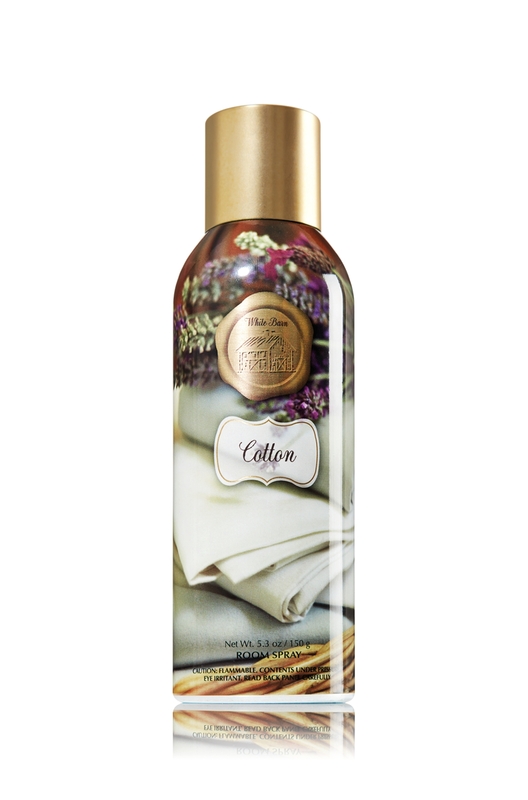 Cotton Room Spray – My house has had almost every scent of these room sprays at one point or another. They work great to fill a whole room with a quick burst. They tend to be really intense, so now we pick more subtle scents like Cotton so we don’t overwhelm our senses. Sometimes you find the best products through word of mouth. I was talking to someone with perfect super curly hair at my hair salon and asked them what they used. 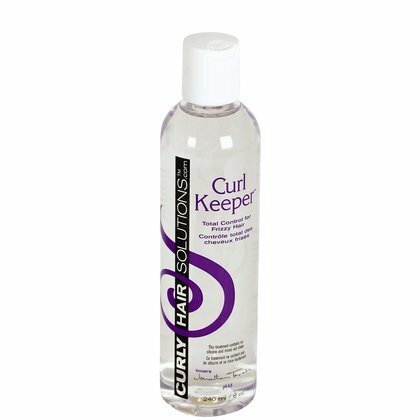 The answer was Curl Keeper. I have never seen any kind of advertising for it so there’s a good chance I would’ve never found it but I’m so happy I did. It literally gets rid of all my frizz just by using a tiny amount. I didn’t think it would work because it was so watery but I tried it on my wet hair and it dried into perfect curls with no frizz. And unlike other companies who swear your hair won’t be crunchy (and it is), Curl Keeper is pretty much unnoticeable in your hair. The only downfall is the smell. It doesn’t really have much of one except your hair ends up smelling a little like chemicals. I usually just mix it with a great smelling hair oil and that fixes the problem. So next time you see someone with hair you want or makeup you want to try just ask them what they use. It could be your new best kept secret. My Ipsy bag is here and it’s the best Ipsy glam bag I’ve gotten. I will use everything in here happily. I recently posted the spoilers for March and here’s what I got in my bag. Nyx Love In Rio eyeshadow palette in Segredos De Giselle – I’ve gotten Nyx shadows before and I really like them. This size is also great to throw in your purse for touchups on the go. Segredos De Giselle is a great neutral palette that’s perfect for daytime. bareMinerals Marvelous Moxie Lipstick in Get Ready – This is a pretty decent size for a mini lipstick and the colour is a pretty, neutral pink perfect for spring. Pixi Flawless Beauty Primer – I can always use another primer and this one has a built in luminizer. It’s also not too dark for my super fair skin. Chella Eyeliner Pen in Indigo Blue – My goal this is year is to finally master liquid eyeliner. This is more of a pen but it’ll be a good start. And the deep blue colour is gorgeous. I was a little surprised to only get 4 products in my bag this month since we’ve been getting 5 lately but considering I love everything I got, it’s definitely a win this month. If you want to give Ipsy a try, click here. For those who are already blonde or those that are thinking about testing the waters Schwarzkopf are coming out with a new line of colour. The BLONDME Iconic Blonde collection comes in Prime Blonde, Blonde Make-over, Pastel Blonde and Blondré. Along with the new colour collection comes a relaunch for the BLONDME care range. With a Keratin shampoo, conditioner and mask, 2 colour enhancing shampoos (cool-ice, rich-caramel) and 2 spray conditioners (shine enhancing, colour correcting) there’s something here for every blonde. I’m in more of a strawberry blonde category so some of these products might not work for me but I really want wait to try them. OPI releases gorgeous collections of nail polish all the time and if you have a hard time deciding which colour to spend your money on, the OPI mini collections might be a place to start. They have 4 shades from the collection and you get to try them all and then see if you want to buy a full size. 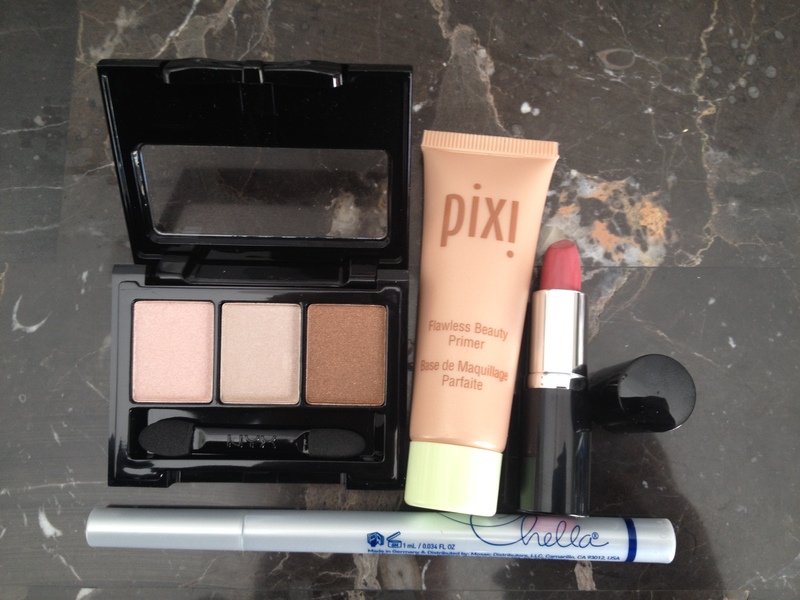 The most recent mini kits are from the Brazil Collection and the Gwen Stefani Rock Starlets Mini Kit. The Rock Starlets mini kit has Hey Baby (hot pink), I Sing In Colour (wine), Love.Angel.Music.Baby (gold shimmer) and 4 In the Morning (matte black). There’s a little something for everyone in this box. The Brazil Collection mini kit is the perfect Spring/Summer set. It includes Next Stop…The Bikini Zone (purple shimmer), Kiss Me I’m Brazilian (bright pink), AmazON…AmazOFF (teal) and Where Did Suzi’s Man-go? (peach). If your nails haven’t gone for the Spring colours yet, this is where to start. AmazON…AmazOFF is probably my favourite nail polish right now. I love these mini kits because you get to try different colours for not a ton of money and you never know which one will end up your favourite. I can’t wait to see if there’s a mini kit for the Muppets Collection. 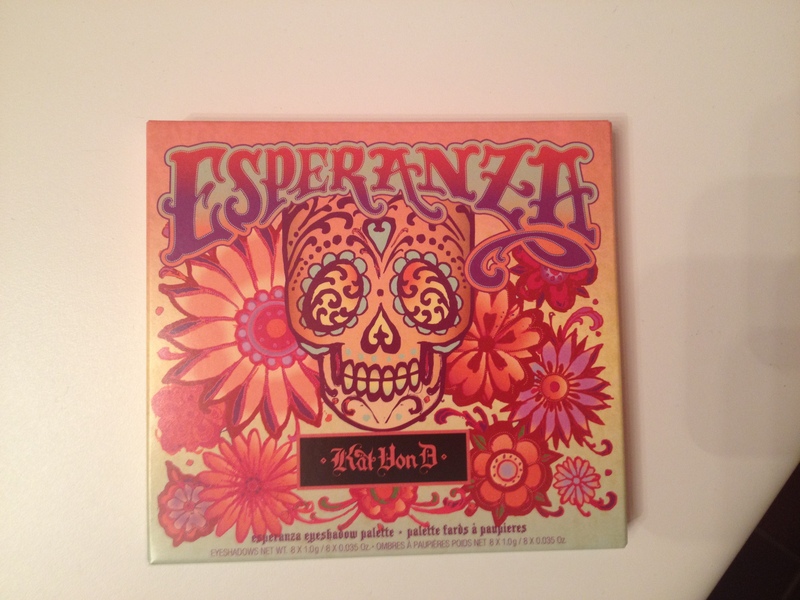 It’s not like I need more eyeshadow but when it comes to Kat Von D’s eyeshadow palettes I literally have no willpower and the Esperanza palette wasn’t an exception. The cases alone are so pretty I almost want to put them on my wall, but the makeup itself is worth it. This palette is released just in time for Spring and the colours are perfect for the season. Esperanza is a little lighter than most of the palettes in the range with a seafoamy green (Archangel), a pearly peach (Galore) and a matte pink (Placebo). The standout though is Dayglo, Once you put it over another shadow it changes it just a little bit. Even with just 8 shadows in the palette, you have options for way more combinations than you would normally have. At this rate I’m going to need a separate drawer just for my Kat Von D palettes. Or maybe a coffee table to display them. I’m not one for large palettes, I find that they usually get buried in a drawer until my other eye shadows and eyeliners and lash curlers and mascara. Even if I love the colours, I always seem to forget about it after a few months. Smashbox has introduced their new Full Exposure Palette and it is staying on the top of my makeup drawer. 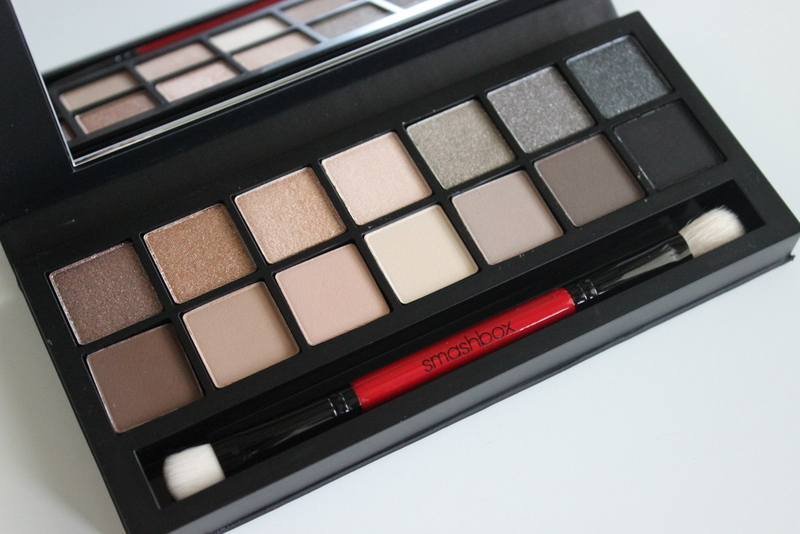 Smashbox’s palette is a great option for any girl who wears makeup from the pro to the amateur. This big palette includes seven matte eye shadows and seven shimmery eye shadows in complimentary neutral shades. I love it that all of the hues are neutral enough that I can imagine myself wearing them. It’s not like some palettes where you have a few nice shadows, and then one neon blue that just sits there starting at you daring you to try to wear it. Smashbox has given me a whole set of colours that everyone can master, including the shimmer shadows. There is something for every occasion, even for a day in the office. The Smashbox palette comes with a few fun bonuses too. First there is an eye shape chart to show you how to apply the eye shadow properly on your face. This makes this palette much less intimidating for more inexperienced makeup wearers. The final bonus just is mini mascara! I mean does it get any better than getting bonus mascara with your palette? 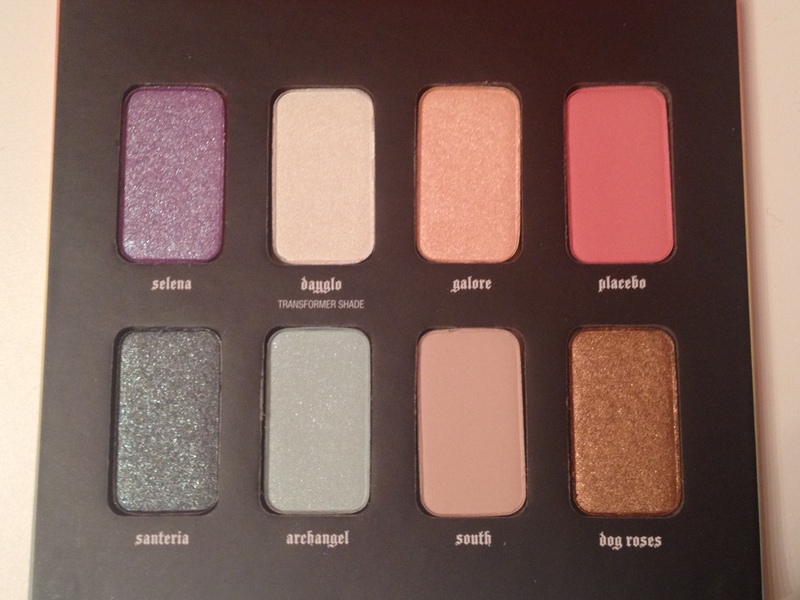 There might be more buzz for some other makeup palettes, but this is my spring must have.